You can, however, also apply to earn credits for previous education and ‘prior learning’. This means that you can gain credit for diplomas or national certificates that hold in other fields sectors that could pertain to real estate. Inquiries about exemption status can be directed to PropAcademy who assist you in completing the required EAAB documentation. One thing that you will need to be aware of as an intern is that you must always make the client or customer aware that you are in fact an intern. This must be transparent at all times. Failure to do so can result in disaster! When asking the seasoned and successful agents in the field today how to go about finding the right internship, the answer is pretty much the same across the board. Find a mentor who embodies the ethical standards and code of conduct expected from a well qualified estate agent and then cultivate your own set of standards. You can’t go wrong. Internship is just the beginning of an amazing career! Does Prop Academy get you into an estate agency for your internship, or do you have to find an agency yourself. I have been trying to get into an estate agency to do my internship, but am struggling to get in. Good morning Gayle, thank you for your query. You do need to find an agency yourself, however I am happy to help you with advise to do this if you send me your details on the contact us tab, then I can give you a call to help you! Hi Courtney- kindly assist with how we can secure internship opportunities. Myself and my son are based in Polokwane for now but seriously considering a move back to Johannesburg- which is our home base. We have a registered real estate entity- our long term goal is to start our own real estate business. I m in the process of registering for the NQF4 Real Estate qualification. Are you able to assist me with getting an internship, as I’ve been trying for the past few months now. When they hear it’s part time, I’m then declined immediately. Please help! Morning, we unfortunately cannot assist you with getting an internship. I am glad you are reading our blogs as they contain good advise on how to get your internship. Try to assist smaller agencies, as they need the help. Wishing you the best of luck. how do you apply for fidelity fund certificate? Good morning Raymond. Please click here https://www.eaab.org.za/registrations/registration_of_an_intern_estate_agent_and_attorney_employee on how to register for your FFC. 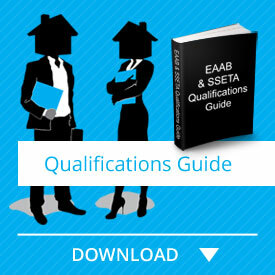 You need to have a job with an Estate Agency, the Agency must be registered with the EAAB. Then you will apply for an FFC as an Intern Agent. Good luck!! Can you please assist me in getting an internship? In order to get a job with an estate agency, we can only advise you to look in your area for agencies, and approach them directly with your CV. Knocking on their door may help you to make a better impression. Good luck, and we hope to hear from you when you need to start your Intern Logbook! Your online blog is extremely powerful and educative. Kindly send me a list of Estate Agents who offer internship around Gauteng urgently. My son has always had a passion for this industry and now through your information here – all our questions have been answered! I am in the same predicament – I need to find an agency for internship in order to register and complete my Intern Logbook Course as prescribed by EAAB. I stay in Polokwane and looking for opportunities in Polokwane. Please share the information on possible Estate Agents prepared to hire interns. Please help, I realy want to venture in real estate but can’t find an internship to do so. I stay in Polokwane and have 6 years working experience as a teacher. I contacted Pam Goldings unfortunately I was told they don’t take any interns this year. I would like to become an Estate Agent, kindly supply me with the Estate Agency. Hi Joseph. Thanks for your enquiry. Please send me an email letting me know what area you are in and if you have ever traded as an agent, or are you brand new? If you are new do you have financial support for 6 months whilst you get going in the industry – and please remember that you must study during your first 2 years of being employed as an agent. Our office number is 0861112281 and we would love to hear from you. Hi, is there a filter to use on the eaab website to sort estate agencies by date of registration? I’d like to start my career in RE with a new fresh agency. Hi ZKMS. As far as we are aware there is no such facility on the Boards web platform. Suggest that you give them a call to see if they can help you directly. Good luck and please let us know the outcome. Ive never studied anything to do with properties before therefore i have no qualifications in this industry. Will I be accepted if i applied for an internship at any estate agency? Secondly do interns start earning immediately after they are employed or is it after a period of time? lastly please assist me to find accredited estate agencies around Polokwane city that i can apply to. Hi Dimpho. Thank you for your questions. That depends on the Agency where you apply for the position. Interns start immediately, meaning as soon as you are employed by the agency, you should have your FFC from the EAAB before you start practicing. We unfortunately can’t advise you where to look for a position, but we wish you the best of luck. I really want to start my career as an estate agent. But where do i start? Please read the following article on our Blog page, “How to Qualify as a Full Status or Principal Real Estate Agent”. If you would like to talk to us, please click on the contact us tab above and we will give you a call! Hi’ please assist me .i want to be eastate agent internship. Hi Francina – thanks for your query, one of our reps will give you a call tomorrow. Hi Mpho, thank you for your comment, please send your details to us via the contact us page and I will contact you to assist where we can. Chat soon!